Lyft, the San Francisco-based ride-hailing company with a pink mustache, has announced a partnership with China’s largest player in the industry, Didi Kuaidi. It comes at a time when Didi’s presence in the market is intensifying, and mutual rival Uber attempts to gain traction. 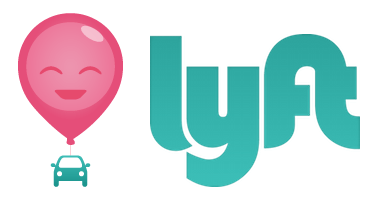 Didi Kuaidi has confirmed that it contributed $100 million USD to Lyft’s latest $530 million USD round in May. The North American startup is now valued at 2.5 Billion USD. It’s a very advantageous partnership for Lyft, who have now entered the biggest ride-hailing funding family in Asia. Didi Kuaidi recently landed a $3 billion USD funding round from a variety of high-profile investors. They also have received funding in the past from China’s sovereign wealth fund, CIC, which is widely seen as a tick of approval from the Chinese government. For Lyft, being a Didi Kuaidi-approved company could help them avoid some of the legal issues that Uber has faced during the establishment of their China-side operations. Didi Kuaidi also shares investors with Singapore-based Grab Taxi and India’s Ola Cabs. The Chinese giant is reportedly in talks with both of the later companies about possible future partnerships, but have kept tight-lipped on any details. In a conference held in New York on Wednesday, Didi confirmed that Lyft and Didi Kuaidi users would be able to use each others’ services in their contrasting markets, meaning that Lyft users will be able to seamlessly hail Didi Kuaidi services in China and vice versa. It is possible that Didi Kuaidi has a similar model in mind for Ola and Grabtaxi.